Waking up inside a body bag is no way to start the day. But that's where you are, and worse yet, you're 35,000 feet above the desert, guarded by the some of the toughest soldiers on the planet. You're being flown back to the people who created you, who may have even betrayed you. You're having a hard time separating your false memories (of family, duty, country) from the grim reality (of bullets, blood, screaming). Who's really on your side? Why were you created? Where does the 'real you' end and the programming begin? There's only one way to find out -- by reaching up and zipping open this bag. 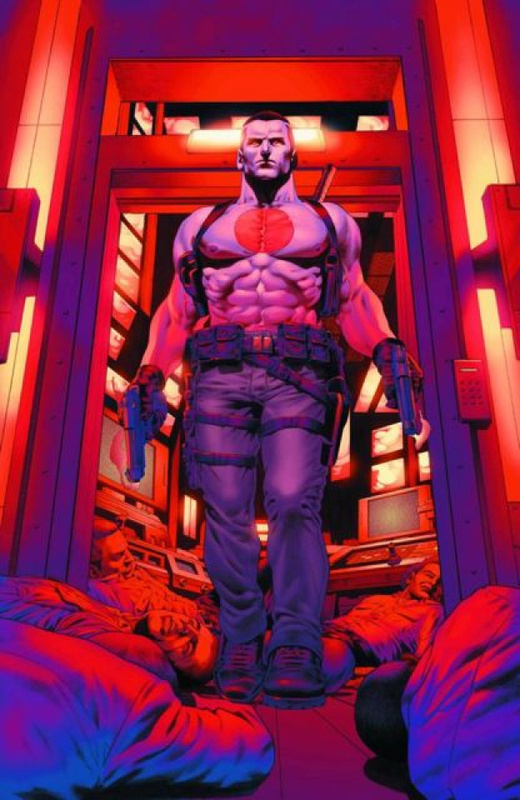 And God have mercy on anyone who comes face-to-face with the weapon -- no, the man -- no, the soldier -- known only as Bloodshot.